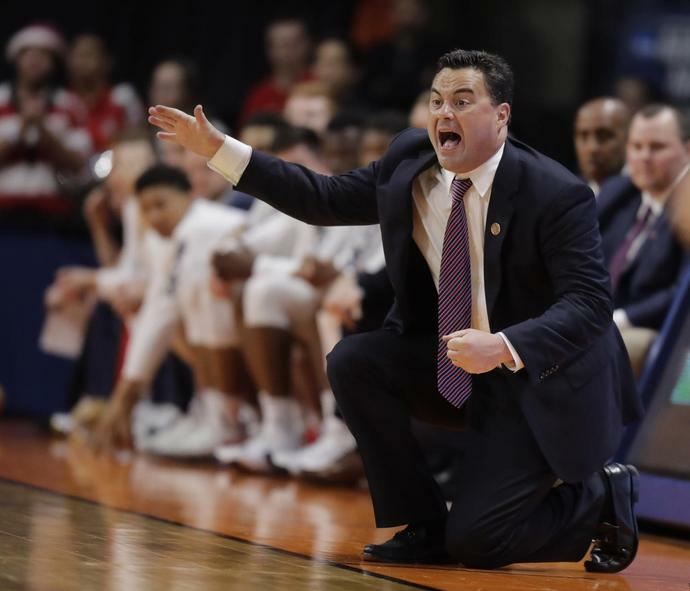 NEW YORK (AP) -- The father of a top-rated college basketball prospect testified Thursday that his son was offered thousands of dollars on the sly to play at major programs before a corruption scandal derailed the promising player's collegiate career. At a federal trial over allegations about dirty money in college hoops, Brian Bowen Sr. said that an aspiring agent, Christian Dawkins, told the father he could pocket $50,000 if his son played at the University of Arizona, $150,000 at Oklahoma State or $100,000 at Creighton. Bowen said there was some interest from Oregon but didn't recall cash offer. Bowen told a Manhattan jury it was his understanding the offers were being made by assistant coaches at the schools, though he never spoke to them directly about money. He said the Oklahoma offer, which included an additional $8,000 for a car, came from then-assistant coach Lamont Evans, a defendant in the investigation who's pleaded not guilty. Dawkins, former amateur coach Merle Code and former Adidas executive James Gatto, have pleaded not guilty to they committed fraud by secretly funneling money from Adidas to families of prospects to get them to attend colleges sponsored by the athletic wear company. The son, Brian Bowen Jr., eventually landed at Louisville, an Adidas school, after the defendants engineered a promise of $100,000 for his family. Gatto's attorney and a taped conversation in evidence at the trial have suggested the deal to sign with Louisville had to compete with an undisclosed offer to lure Brian Bowen Jr. to Oregon, which is sponsored by Nike. Oregon has denied it knew of any deal. The criminal case announced last year charging the three men with fraud resulted in the school pulling the son's scholarship before he could ever play and firing its legendary coach, Rick Pitino. ''Is Tugs in college?'' asked Assistant U.S. Attorney Edward Diskant. ''No, he's not,'' Bowen responded. When the prosecutor asked why not, Bowen dropped his head into his hands and wept, prompting the judge to call a recess. Brian Bowen Jr. now plays professionally in Australia. NEW YORK (AP) -- A prosecutor says greed led a fledgling manager of basketball players to bribe college coaches, but defense lawyers say it was all an FBI setup. These are the guys that will change the shape of next season.